The so-called ‘bro culture’ in the world of technology shot into the spotlight earlier this month when thousands of Google employees around the world walked out in protest over the tech giant’s handling of sexual misconduct cases and other diversity issues. 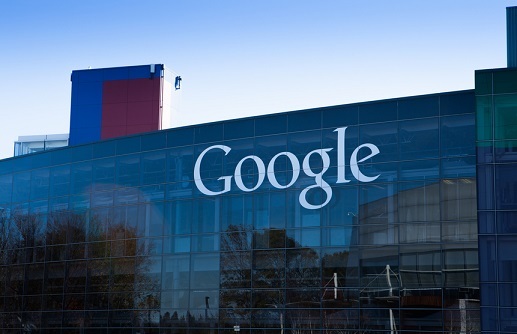 Approximately 20,000 Google workers participated in the protest, which brought forward multiple demands for reform, including the end to mandatory arbitration of sexual misconduct cases. Google bowed to this demand, meaning employees can now choose to sue in court and present their case in front of a jury. Google CEO Sundar Pichai has also promised “more transparency” around issues of sexual harassment and diversity, and has said the firm will step up its training aimed at preventing misconduct. All Google employees will be required to go through annual misconduct prevention training, as opposed to every other year, with negative consequences if they fall behind. As Michael Liedtke reported for the Associated Press, this case against Google is the “latest fallout from a broader societal backlash against men’s exploitation of their female subordinates in business, entertainment and politics.” It links to the viral #MeToo movement, which is calling for an end to sexual harassment and sexual assault. Issues around sexual harassment and diversity are now trickling down from the giant public interest cases in the mass media to small and medium-sized firms. The exposures span across industry sectors, sizes and geographies, according to Brian Donnelly, vice president, health & benefits practice leader at Chicago-based insurance broker, Alper Services. Alper Services offers insurance and risk management solutions for employers across a wide swathe of industries and sectors. As a by-product of the Cavanaugh hearings, the #MeToo movement and other high-profile cases of harassment and assault, more and more companies and employees are turning to the brokerage to ask about its employee assistance programs and sexual harassment organizational consulting services, Donnelly said. When helping clients improve their fair employment practices, the Alper Services team uses a sexual harassment organizational checklist in its fact-finding missions into how well prepared an organization is. The list includes basic things like: Does your company have a current anti-sexual harassment policy? And, are your employees all familiar with the policy? It also covers issues like understanding of federal and state regulation, and assessment of employee training programs. “In the state of Illinois, the state legislators are looking at bringing in a law that would make it a requirement for companies and employees to undergo sexual harassment training. It’s vitally important for brokers and HR leaders to stay up-to-date with state and federal legislation on these matters,” Donnelly commented. Those who fail to do so could face litigation in other areas like D&O, E&O and EPLI.